Ruth Carney-Nash is to visit The MGA Academy in the new year to Direct our 3rd Year Musical Theatre students in ‘Romeo and Juliet’ by William Shakespeare. 3rd Year MT students here at MGA are the very definition of triple threats being cast as Dancers for the MGA annual dance show, Singers in the many performance opportunities throughout the year, as Musical Theatre performers in the end of year production and each March/April as Actors in the annual straight play. This year its a true classic! Ruth Carney-Nash is the current Artistic Director of The Lantern Theatre, Sheffield.. Most recently Ruth has been Associate Director to Olivier and Tony Award winning Director Matthew Warchus on Ghost the Musical currently running at The Piccadilly Theatre London and The Lunt Fontanne Theatre, New York. While Associate Director for this production Ruth auditioned over 3000 people for the London, New York and Holland productions of the show. 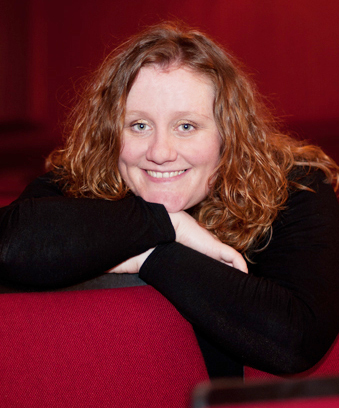 Ruths’ directing credits include the first professional production at the home of CAPA Sheffield, Order; Touched at Latitude and Oxford Playhouse; A Model Girl, Greenwich Theatre; the UK Professional Premiere of The Laramie Project at Sound Theatre, London and the World Premiere of The Lemon Princess by Rachael McGill from an original idea by Ruth Carney at The West Yorkshire Playhouse, Leeds.